Michael A. Seicshnaydre, MD. was the first Mississippi Gulf Coast ear, nose and throat specialist to also specialize in allergies and cosmetic rhinoplasty. He has treated local adults and children for more than 20 years. His certifications include being a diplomat of the American Board of Otolaryngology and fellow of the American Academy of Otolaryngic Allergy and the American College of Surgeons. 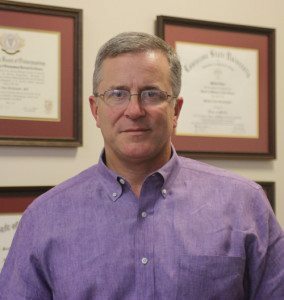 While managing nasal conditions on the Mississippi Gulf Coast, he has stayed current on the latest techniques and treatments in rhinology and feels fortunate to provide his experienced approach focused on long term success. Dr. Seicshnaydre applies his continuing training to provide microsurgical instruments for tissue preservation and faster healing; patient specific modifications for long term success; quality sleep improvement and management for patients; advanced pediatric sinus management; and excellence in sinus headache management. His treatment of functional cosmetic rhinoplasty includes working inside the nose to improve airflow with results of a substantial reduction in sinus infections, congestion and nasal drainage. “These are the advantages that make an ENT, experienced with thousands of septal/sinus surgeries and skilled in cosmetic rhinoplasty, the best choice in cosmetic nasal surgery,” he said. Dr. Seicshnaydre follows patients 15 to 20 years following initial allergy immunotherapy for a better approach to long term success. His technique for pediatric tonsillectomy and adenoidectomy provides minimal pain, palate preservation and faster recovery. Dr. Seicshnaydre received his education at Louisiana State University in Baton Rouge and the LSU Medical Center in New Orleans. He served an internship at the Santa Barbara Cottage Hospital in Santa Barbara, California, and residency at the Medical College of Virginia in Richmond, Virginia. He and his wife Aimee are the parents of three children and live in Gulfport.